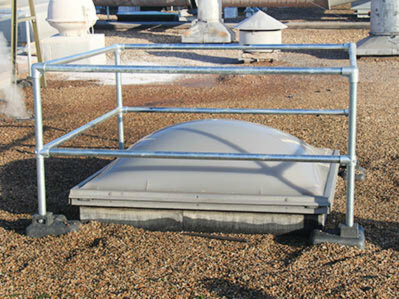 Our range of skylight covers and guardrails will help you work safer around fragile roofs. Depending on the roof layout, you can choose from either non-penetrating solutions or covers that will require fixing to the roof surface. 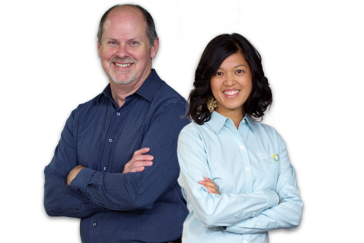 All our systems are incredibly easy to use and quick to install, plus they will last decades. The systems can be put together using just an Allen key. Made of galvanised steel or aluminium, our solutions will last decades. Our fragile roof solutions will help improve safety for workers. A series of roof light covers and skylight guardrails designed specifically for work around fragile roofs. Our systems are easy to install and integrate with other Kee Klamp structures. Find out details about each solution, download brochures and technical details, see photos and discover various uses for each system. Select one option below to find out more. Require fixing onto the roof. Designed to provide a visible, safe, non-fragile surface on metal profile in-line roof skylights. Modular system. Does not require fixing onto the roof. 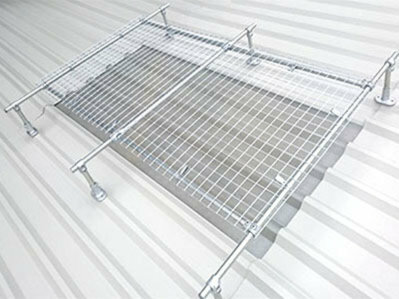 These guardrail kits are designed to protect skylights and prevent hazards on rooftops. Modular system.